That is cute!! I am with ya on the blog motivation!! 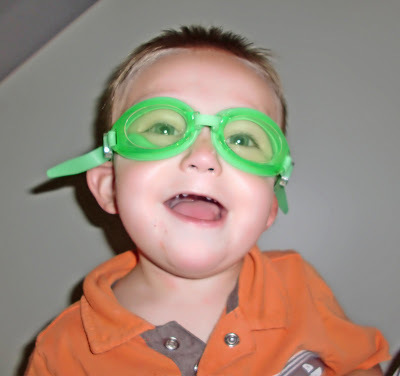 I go in spurts...unfortunately I am in a rut with my blog! Have fun doing the pageant thing! Yep I go in spurts too.. sometimes I have a list of things to blog about other times I cannot think of anything. I love this baby he is too cute! 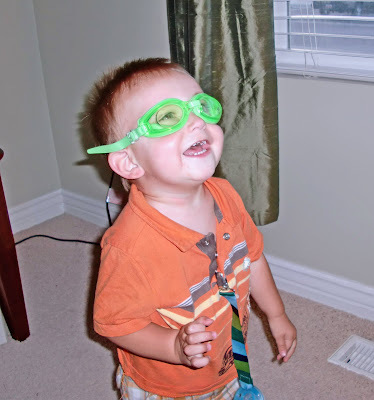 Rowan is growing up so fast, and those goggles are hilarious! Marshy's gonna miss u!